Avencore RJ45 Coupler - Female to Female CAT5/6 Joiner Adaptor + FREE SHIPPING! A quick and easy way to join two ethernet cables together. RJ45 couplers are the lifeblood of any busy office where critical network devices and computers must be connected but the perfect length of cable isn't always on-hand. 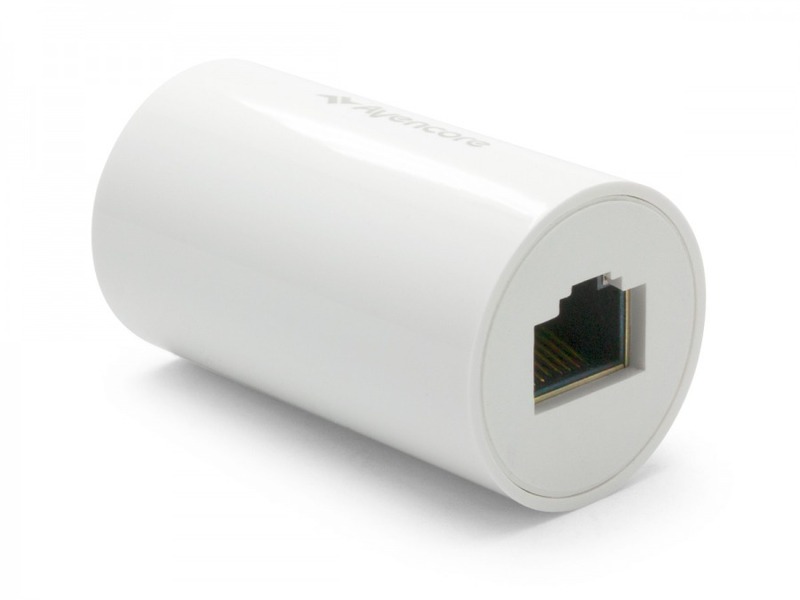 Whether its a temporary solution or a permanent extension, Avencore's super-robust RJ45 coupler is a stylish white cylinder measuring 27mm in diameter by 47mm long, and is sure to get you out of a bind whether you're hooking up a games console to your modem or connecting up a video conference at the last minute. Note: To maintain the maximum speed and reliability of your network for high-performance applications, please ensure the total cable run length does not exceed the maximum for your bandwidth requirements. ie: For 10GBASE-T, CAT6 cables must not exceed 55m, and CAT6A must not exceed 100m.